This project transformed two dilapitated buildings into an award-winning workplace. The project included a second-story addition designed for storage and ample room for the company's workers and clients. This award-winning addition created quality living space for our clients and includes the addition of a master bedroom and bath. Working with the clients and one of our architect associates, the Kish Builder team successfully came up with a design that made full use of existing space and the splendor of the lake just out the back yard. The overall addition included a pergola, carport converted into a garage and landscape wall of landscape block that matched the pergola and invites people into the home. We raised the roof to add architectural interest. The existing flat-roof home was not exciting and our clients were concerned that the flat-roof would become a leak problem. 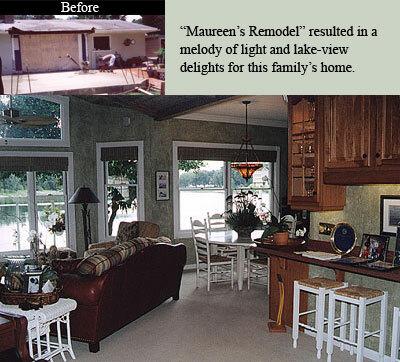 The end result for clients included a transformation of their home in "record time." "My house on Timberlake Drive amazed me and my friends and neighbors. Not only did you transform something from plain to spectacular, but you did it in record breaking time. Having worked with many contractors over the years, it's refreshing to find someone who does the job in the time frame they promise, and does it right the first time. I look forward to doing business with you in the future." "It is not very often, particularly in the construction business that you find somebody to live up to your expectations. My wife and I are very pleased with the job you did in designing and building our new addition to the master bedroom suite. and your ability to get along with people..."
"I would like to express my gratitude to you and your crew for a job well done, which was performed in a timely manner, on the addition to my residence. I chose you not only on your proposed bid, but also on character. 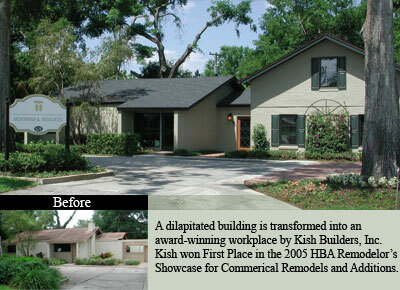 Yes, character still counts in America and I am proud to testify that Kish Builders, Inc., and Paul J. Kish, stand for high standards of honesty, integrity and character!" 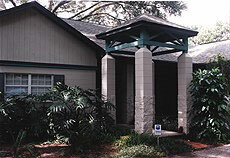 "My wife and I made the decision to add a new room and have the kitchen completely revamped...Several of our neighbors here in Audubon Park suggested Kish Builders, Inc. from good experiences they had in the past. We contacted Paul Kish and found, to our surprise, a contractor that did really care about quality, timeliness and customer satisfaction. As a long time Quality professional myself, it was obvious that Mr. Kish believed in customer satisfaction as number one on his list of priorities. It was a pleasure dealing with Paul and I would recommend him to anyone as the best contractor and businessman I have had the pleasure to deal with in the forty years I have been an adult."